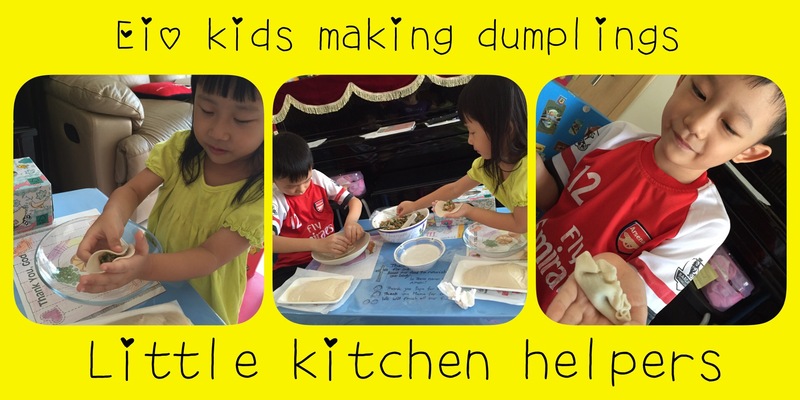 Dumplings making with Eio kids! El had to rest at home for a week. Here’s the day when El was better & Mrs Eio’s tired of cooking dinner. She’s thinking of a way to keep the kiddos occupied, yet having them to settled their dinner & prepared for their meals to come. 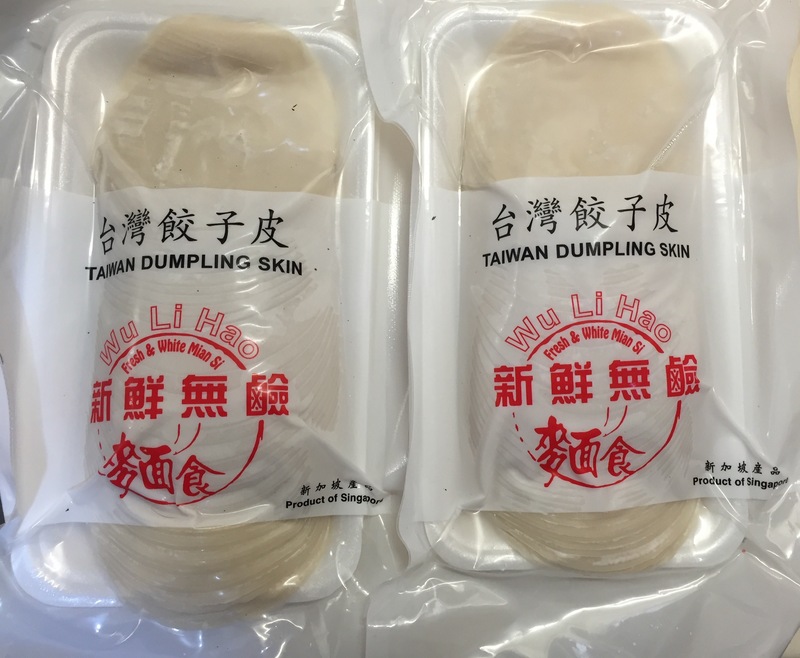 No time to make dumpling skin that day & Mrs Eio already bought the ready made Wu Li Hao Taiwan dumpling skin from the supermarket a few days ago. Be sure to get the right ones (NOT shui jiao skin 水饺/ NOT Yun Tun 云吞 skin) . Otherwise, the skin will be soggy after cooking. 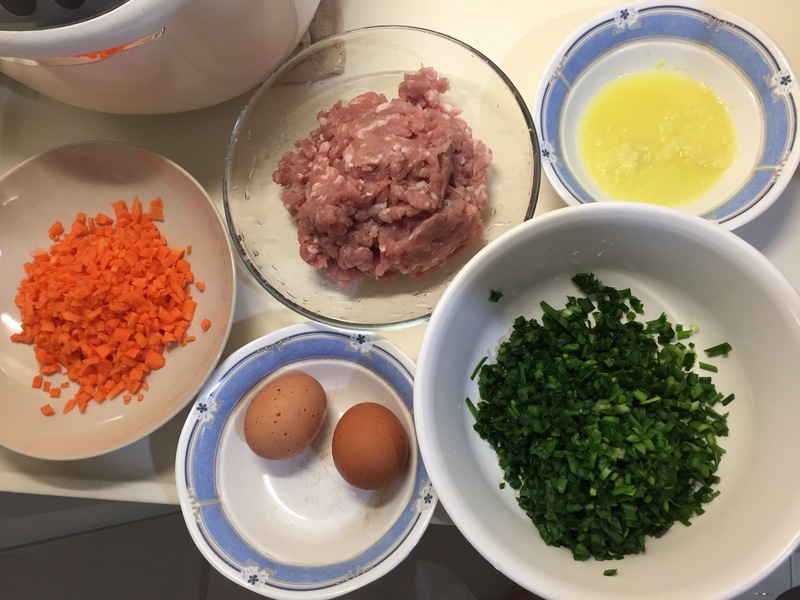 Here’s the ingredients for the fillings. 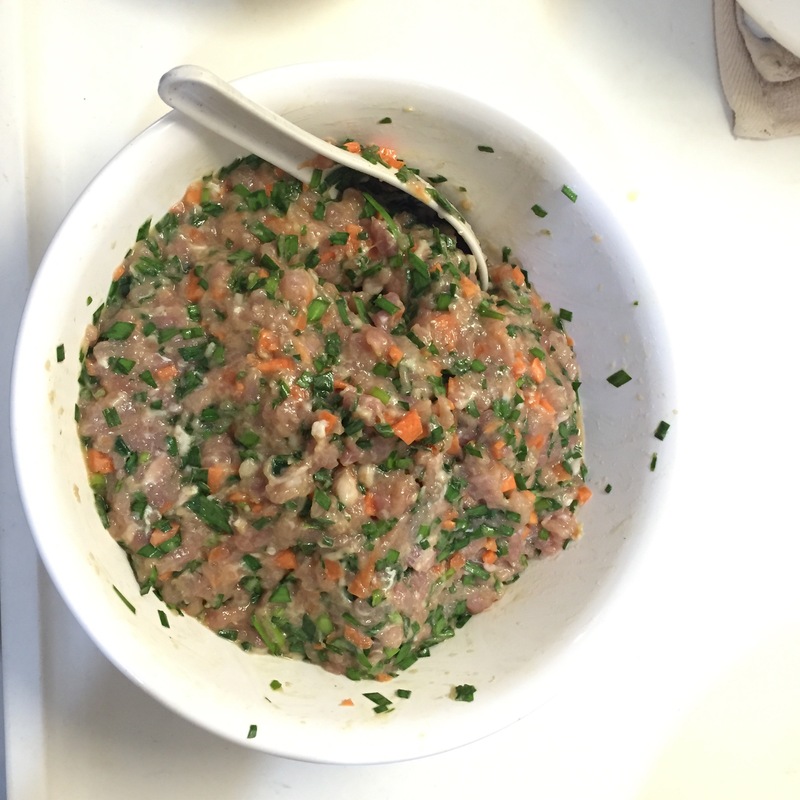 Mixed the ingredients together & chilled it in the fridge for 1-2 hours for the ingredients to absorb the seasoning. Eio kids were extremely excited. 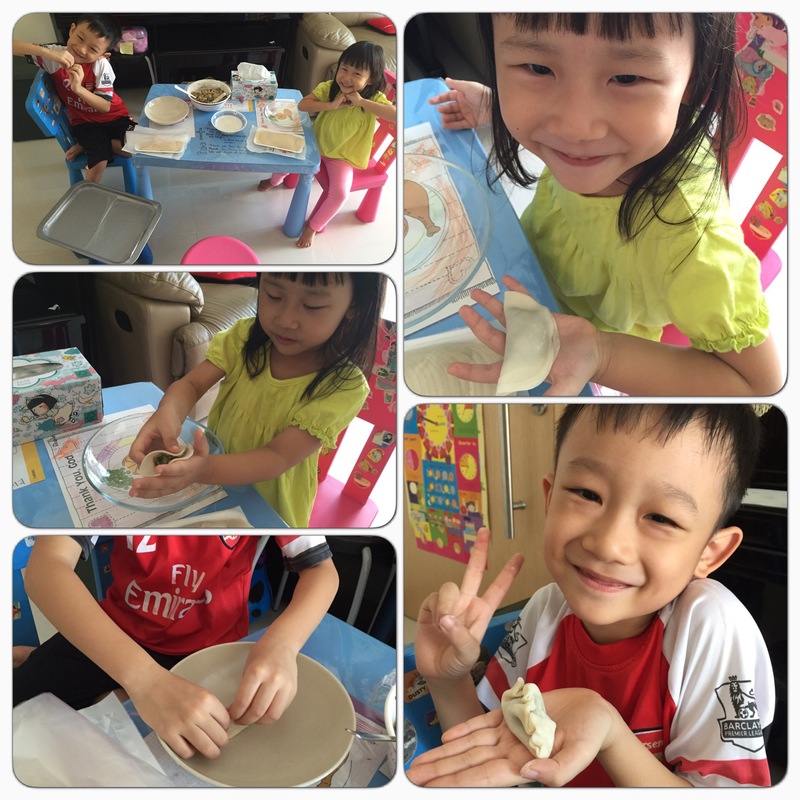 They kept asking Mrs Eio when were they going to start making dumplings while the fillings were chilling in the fridge. Finally the time has come. Here they go! 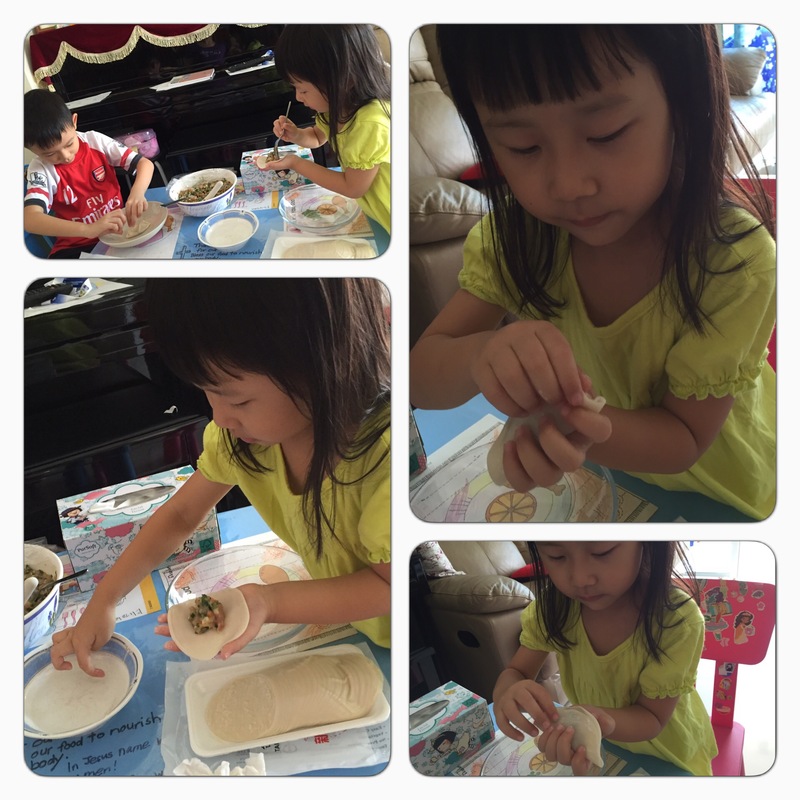 Mrs Eio was amazed that Eio kids picked up the dumpling wrapping skills really fast! Never belittle little children. Take a piece of the dumpling skin & put it on your palm. 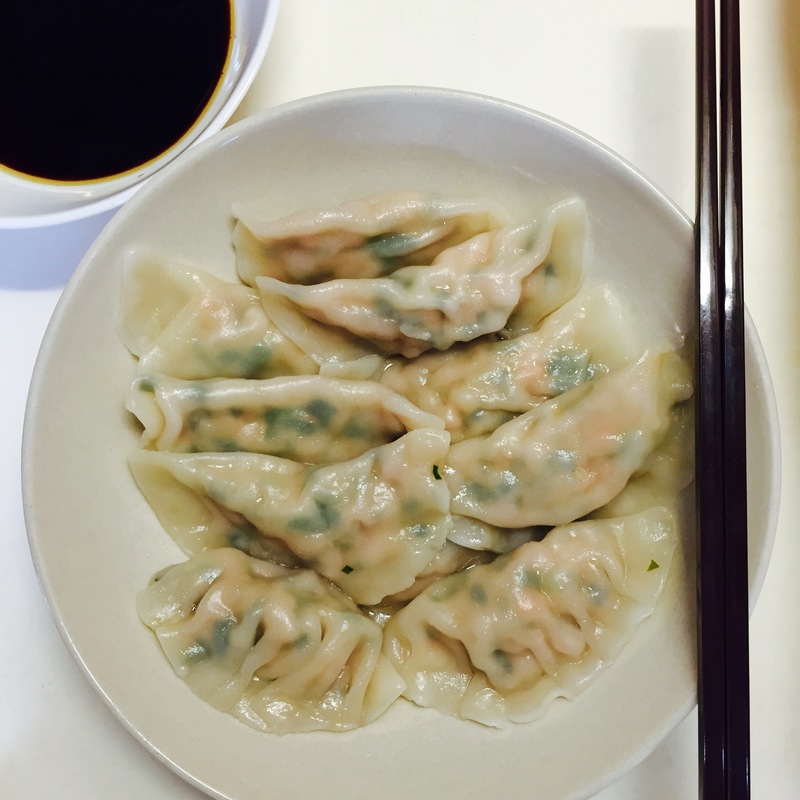 Dip your index finger into the water & put a bit of water on the edge of the dumplings skin. (Explain to the kids that the water is acting as glue here to stick the skin together when they close the openings. Fold the skin into half & pressed the sides to close the openings. 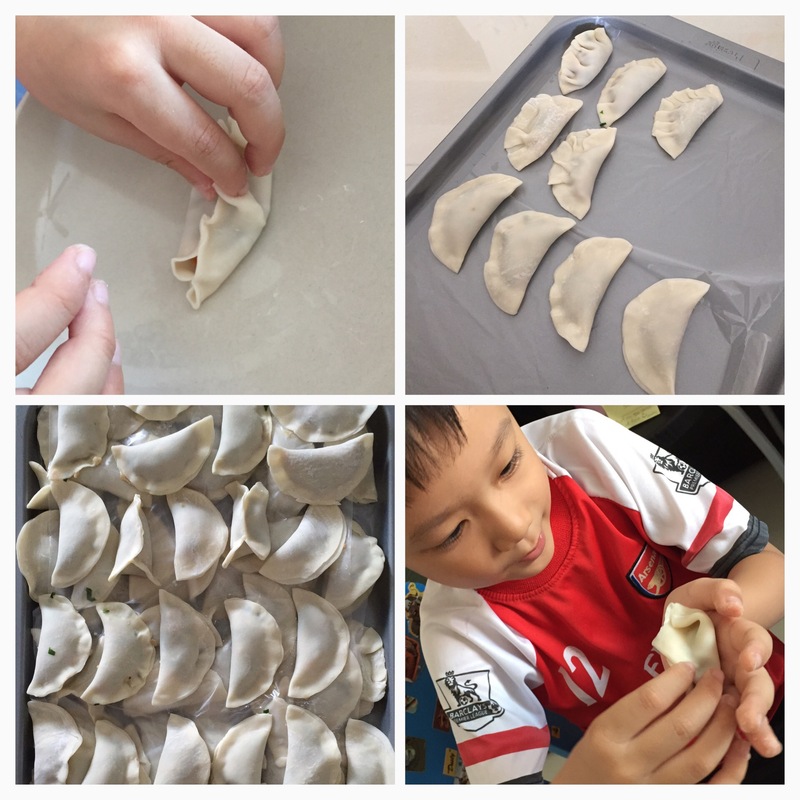 After making a few dumplings, Em realised it’s easier to put the dumplings on his palm to make the gathers. 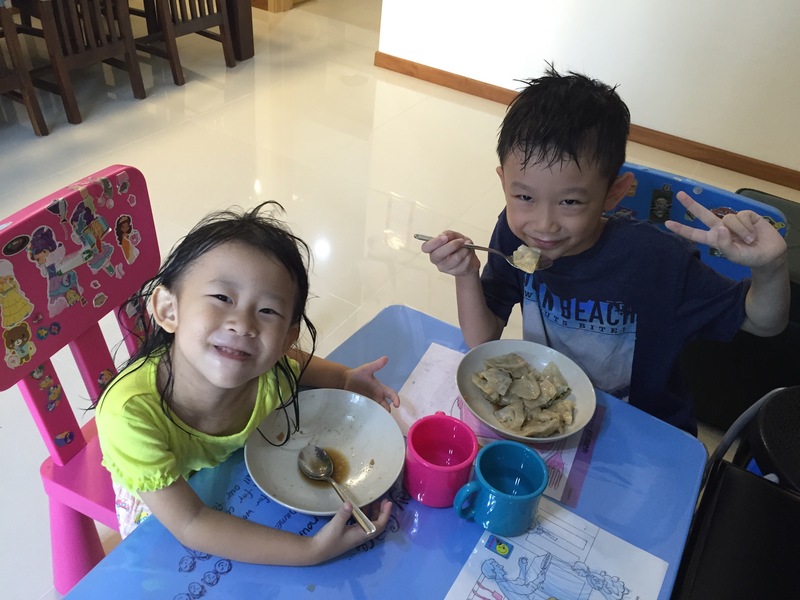 Here’s their dumplings for dinner on the next day!